"I Can't Recommend Probe Because of Your View of Creation"
I am a Pastor and also teach Bible at ______ School. I have used some of your materials in my Church and ministry. 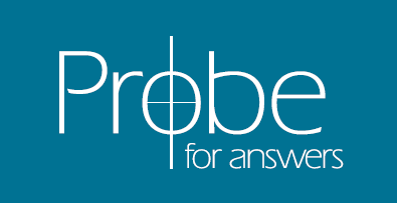 I have also made Probe.org a resource for my Senior Bible Class. I must confess that I was greatly disappointed recently to see your view related to creation. While I admire your view that six literal days of creation make the most sense I do not at all understand how you allow “overwhelming” scientific evidence to move you from that sensible position. Seems to me that one could make the same argument of the miracles or even the resurrection to be contrary to “overwhelming” scientific evidence. It would also seem from a scientific point of view the evidence was at one time overwhelming that the earth was flat. While I do not think it is your intention to place science above the Bible this is certainly what is happening among many of our youth today. I am sure in the long run it makes little difference but I can no longer recommend your ministry to my students or my church. Rather than be a “fence sitter” to use your description I would urge you to stand up for the faith once delivered to the saints in the inspired Word rather than the ever changing observations of science. I regret your decision to deprive your students of our material because of one cautious position on an issue of secondary importance. However, I understand your position. But your response has raised issues and questions I feel I must respond to. While I admire your view that six literal days of creation make the most sense I do not at all understand how you allow “overwhelming” scientific evidence to move you from that sensible position. This evidence is something that requires a simple and plain reading of facts that I and the other young earth creationists I have asked, have no answer for. Seems to me that one could make the same argument of the miracles or even the resurrection to be contrary to “overwhelming” scientific evidence. Not at all. There is no pertinent scientific evidence to contradict miracles in Scripture. But there is present and currently observable evidence to lead anyone to question the young earth view of a thousands of years old earth and universe. It would also seem from a scientific point of view the evidence was at one time overwhelming that the earth was flat. A spherical earth was recognized from the early Greeks onward. You are victim here of the naturalists’ contrived view of the flat earth. The Bible never taught it and even early science never did. While I do not think it is your intention to place science above the Bible this is certainly what is happening among many of our youth today. That is certainly not my intent and I fully recognize the strong tendency that you mention. My contention is that it is not absolutely clear that Scripture teaches a young earth. I am sure in the long run it makes little difference but I can no longer recommend your ministry to my students or my church. I truly do not understand this position. But I have run across it frequently among my young earth friends. I find it sad and counterproductive. Rather than be a “fence sitter” to use your description I would urge you to stand up for the faith once delivered to the saints in the inspired Word rather than the ever changing observations of science. Where in Scripture does it say the earth and universe are only thousands of years old? There are many uncertainties here both scripturally and scientifically, I for one, do not consider myself so informed to conclude which position is correct. There is a resolution, I just don’t know what that is. At least I am not refusing to consider all the evidence at hand. The young earth model now admits that all the supposed radioactive decay necessary to indicate billions of years actually occurred. But since the earth CANNOT be that old the decay must have been accelerated a million times or more. This means incredible heat and radiation that would have annihilated all life on earth, even the life on the ark. But that couldn’t have happened so they appeal to miracle and heat release nowhere indicated in Scripture. That is special pleading which I find disappointing. "How Do You View the Age of the Earth?" "What are the Best Scientific Evidences for a Young Earth/Old Earth?" "Why Don't You Cite Young Earth Creationists in Your Material?" "Is Laminin All That Louie Giglio Says It Is? ""Why Doesn't God Answer Prayers to Take Away Gay Feelings?"